Facial tissues. Depending how you buy the boxes of tissues depends on how much waste is created. When you purchase a 6+ pack for example, they are wrapped together in plastic. Some brands plastic is waste while others are recyclable. We must remember that any plastic, even if it is recyclable, is not an option we should choose. I buy single boxes of tissue. This way I only deal with the plastic liner inside the box. I buy White Swan brand, as it is the cheapest and they use recycled products. It is the cheapest unless other single box brands are on sale. Keep an eye out for the unit price. Though I just had a terrible thought: what if the store just unpacks a packaged of pre-wrapped tissue boxes. While working at a hotel many years ago, the shipments of tissues we got was a large box that held single boxes, not wrapped in plastic. I sure hope that is the case at the stores today. 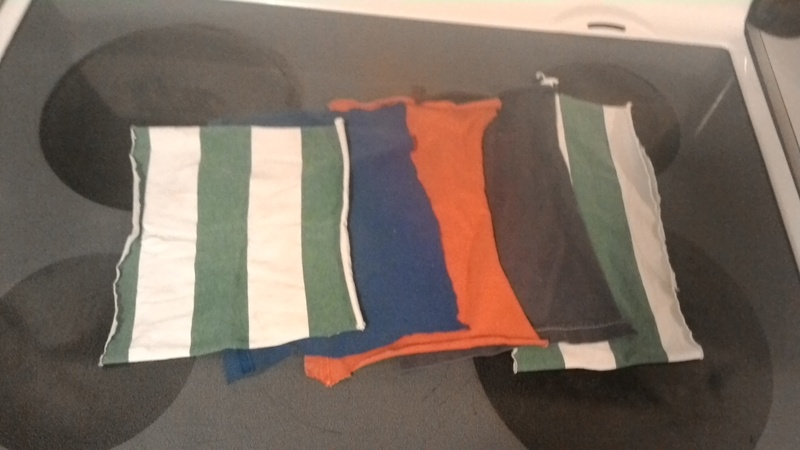 Besides which, I started collecting cotton rags (from kids old clothing). I started to use them as handkerchiefs. I only got about a dozen or so, but a good start for myself. I was doing some research as to how to clean them, but I also learned how to use them correctly as to not spread germs. Though I do agree we need some germs to stay healthy. I think the best way, especially if someone is sick, is to store the one time use hanky in a container. Once there is a good amount used, boil it for 15 minutes on the stove. Then wash with other laundry. I think a size similar to disposable tissues are best. A great thing I noticed about handkerchiefs is how my fingers stay dry. Disposable tissues let the wetness through even if they are 2 ply or 3 ply. That was a reason I always grabbed 2 tissues to blow my nose in the past. Since about October i knocked that habit out and started to grab 1 tissue. Yay. Now I will reach for 0 tissues. Less waste, less resources and money saved. Now I must collect old clothing and such to build our collection. Love this idea! My grandfather always had a hanky on hand. I especially found the information on how to properly sanitize handkerchiefs useful.